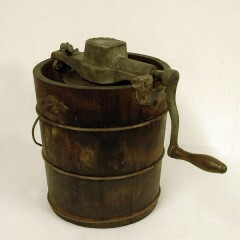 In Victorian times, ice cream was very different to the texture and flavours we enjoy today. Mrs Agnes Bertha Marshall, the celebrity cook of her day, wrote ‘The Book of Ices’ in 1885, and called them “some of the prettiest dishes it is possible to send to the table”. 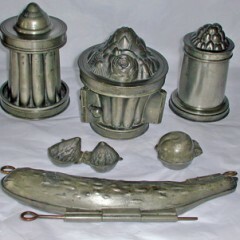 The most fashionable way to serve it at well-to-do dinner parties was moulded into the shape of vegetables or fruit. Two favourites were cucumber and asparagus. Ice cream was made with a base made of water, cream or custard, then flavoured with sugar and fruit pulp. Concentrated essence and food colourings were also added. It was frozen using an ice cream machine, a cylindrical tin container surrounded with a mixture of ice and salt inside a wooden outer container. The mixture had to be continually stirred using the machine’s handle so it started to freeze evenly before being moulded. 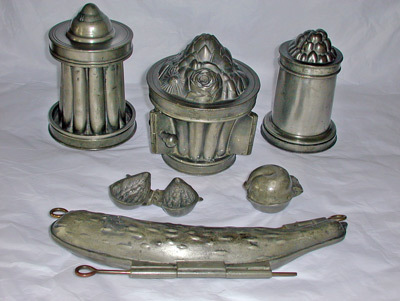 Ice cream had been around since the 17th century, but increased in popularity in Victorian times when imported ice and ice chests and boxes were developed to store both the ice and the finished ice creams. 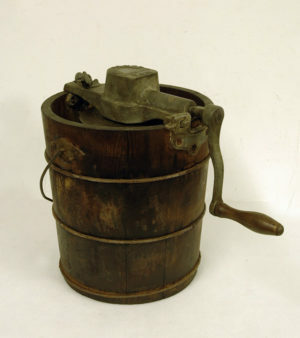 Mass-produced ice-cream was introduced in the 1920s, and saw a huge rise in popularity in the 1950s and 60s with the increased use of electric freezers in shops and in the home.